How is it that Christmas comes at exactly the same time every year, yet somehow it seems to sneak up on me? Why does the holiday season seem fraught with conflicting emotions: Anticipation, family traditions, family feuds, excitement, pleasure, stress, anxiety…? Many people I know experience the same thing every year, looking forward to the holidays while also dreading certain parts of the process. It occurred to me years ago that the only thing that makes Christmas different from any other day of the year is the expectations we tend to have of each other. Some (possibly most) of these expectations come from within ourselves, as we tell ourselves we think we know what is expected, or what someone else is hoping for. The problem is, so often there is vague or nonexistent communication around holidays and gift-giving, and it’s easy to fall into a mode of being stressed and unhappy simply because we’re not sure what is really expected of us. What’s the solution? I think there’s not one easy answer to that one. My thought is that it helps to look within and ask yourself honestly, what do YOU expect, or want, or hope for, from others during the holidays? I often feel frustration, myself, when I sense that someone else is assuming he or she knows what I want, or am looking forward to, without ever asking me directly. I admit, I am probably not sensitive enough to this myself, even though I’m aware of how I feel when my needs aren’t considered. So, my suggestion is to be honest with yourself, first, and then do your best to communicate with those close to you, the ones you plan to spend the holidays with. You might be very surprised to find that most people don’t really expect a whole lot from you, other than to spend some time with them, and share whatever holiday traditions mean the most to you. Sharing, that’s what it is really all about, you know: Sharing food, decorating, music, all those things that make the holiday season something to look forward to. And in the short, dark, cold days of November and December, it’s lovely to have these things to anticipate. Every year the holidays seem to bring something different for me. With a large family that’s busy and spread out, I never know for sure what will happen ahead of time. Weather, travel, family things all influence the experience to some degree. This year I’m thinking more about the big picture, what’s really important to me in terms of family, and doing my best to listen. So far I feel pretty relaxed. Sip & Bake at Rainshadow Cafe August 24! 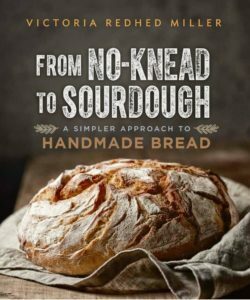 Join local author Victoria Redhed Miller for a celebration of bread! Buy a bag of coffee and take home some of Victoria’s sourdough starter! From No-Knead to Sourdough: A simpler approach to handmade bread. This event will start at 6:00 PM, but it’s fine to drop in whenever you can.Plan to hang out for a while, have some food and coffee, beer or wine. We’ll have plenty of time for all your questions about bread. You’ll also be able to get your hands on some bread dough and get a feel for kneading and shaping. It’s going to be a really fun evening. If you’ve ever wanted to learn to make your own bread but weren’t sure where to start, please come by! Rainshadow has fantastic food, as well as freshly-roasted coffee and locally-made treats. There’s no cost to come, but if you buy a bag of coffee, I’ll give you some of my sourdough starter! I’ll be signing copies of my new book, From No-Knead to Sourdough. This is a great opportunity to get it at 1/3 off the list price, a special deal I only do for local events. Please do come if you can, it’s going to be a lot of fun, and I’d love to meet you! Sneak preview of my new book! After months of work on the part of many people, I am so excited about seeing the finished product. 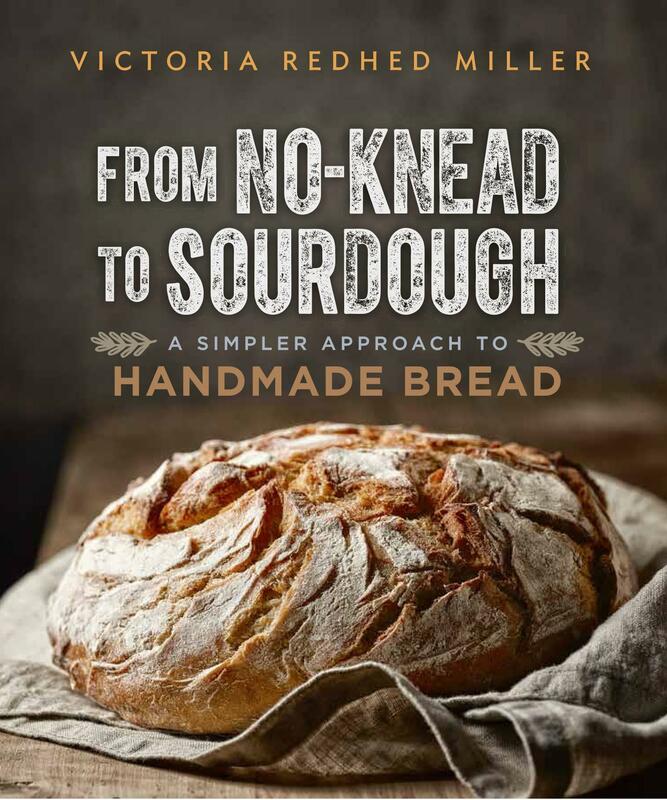 And, after having done presentations on bread-related topics for a year and a half, I’m looking forward to having the book available to sign and sell at the upcoming Mother Earth News Fair in Frederick, MD the first weekend of June. Thanks to all of you who have encouraged, and in some cases, browbeaten me, along the way. If you’ve ever wanted to make bread but weren’t sure where to start, how about starting with From No-Knead to Sourdough? Thanks to all of you who came to one or more of my presentations this past weekend at the Mother Earth News Fair in Asheville, North Carolina. It’s so exciting to see how enthusiastic you are about making bread! You asked a lot of really good questions; for me, that’s one of the best parts, because I’m still learning right along with you. You might think that because my new book, From No-Knead to Sourdough, is all about bread, that I’m some kind of expert on the subject. It’s true that I know a lot about bread, and have learned a lot in the 40 years or so that I’ve been baking. But I’ve been focused on particular things with bread, in recent years mainly sourdough breads, so it’s easy to get in a kind of rut. Every time I do these presentations, I get questions that challenge me and force me out of that rut. And since my hope, both with the book and the speaking events, is to encourage you to make your own bread, these frequent opportunities to keep learning are extremely valuable to me. As some of you know, we ran out of handouts earlier than expected this weekend. Click on the links below to download one or more; the first is my method for cultivating and maintaining a low-maintenance sourdough starter, the other is a simple recipe for sourdough bread made with that starter. I also was asked to post my recipe for homemade croissants. That recipe is at home, and I’ll be getting back there later today; I’ll post that recipe sometime this week. If you have any questions, concerns, or comments, please feel free to contact me Just click on the “Contact me” tab above and send in your feedback using the contact form. Thanks again for helping to make the Mother Earth News Fair weekend such a fun one for me. Go forth and make bread! As some of you know, in December I enrolled in a certification class for small-engine repair. This is something I’ve wanted to do for a very long time, it just hadn’t crept this far up the priority list until recently. I’m on track to finish sometime this summer. I’m learning a lot and having fun too! I’ve always loved to fix things. Goes with my problem-solver personality. Before we moved to the farm in 2006, I had a successful repair and restoration business in Seattle, mainly working on antiques and art objects; I also did gilding, which mainly entailed picture frame restoration. Although I will happily tackle just about any kind of repair project, I’m particularly fascinated by mechanical things. And looking around the farm, even a smallish one like ours, it’s amazing how many pieces of equipment we have that have small engines. Really important things, like our water pump, without which we wouldn’t have water at the house. Our chainsaw, which is fairly vital since we heat our house with 2 woodstoves. Now that we’ve had our solar electric system up and running for several years, we hardly ever use our generator, but its engine needs regular maintenance. Certainly most of our mowing and other lawn-care equipment has small engines. Other things less often used, like our pressure washer. I’ve had thoughts about a part-time business doing this kind of repair and maintenance, but I could also keep fairly occupied just with the equipment here. Just last week I was able to get David’s mower running again. He just knew that the thing wouldn’t start, and thought that we’d need to replace the blower housing; it’s a typical rope-pull starter, and the blower housing encases the spool holding the rope. Anyway, I got the thing apart as far as the blower housing, and discovered a small part that was very loose. I just happened to have learned that that part should definitely NOT be loose, so I made sure the threads on the bolt weren’t damaged, tightened it up, put it back together, and now it runs perfectly. How about that! Didn’t even spend any money on parts. So whatever I end up doing with these additional skills, I am enjoying the learning process greatly. Since my new book, From No-Knead to Sourdough, is coming out next month, it’s going to be a bit of a juggle this summer to fit in studying, practice and exams around book-promotion events, but I say, bring it on! I’m glad I finally took the step of getting into this class, and am looking forward to whatever comes next. It’s very gratifying that the sourdough bread presentations and demos have been so popular in recent months. It’s also great to be back in Topeka, KS this weekend for my 24th Mother Earth News Fair! Thanks for coming to the Fair on this windy weekend; I hope you enjoy yourself and learn a lot. Since we often run out of handouts, here they are for you to download. Choose the low-maintenance sourdough starter method, or the method for making French-style mild sourdough bread, or both. In the aftermath of the terrible events of September 11, I have heard an increasingly loud message that I find very disturbing. It comes not only from flag-waving citizens demanding revenge, but also from community leaders such as [King] County Executive Ron Sims and national leaders, including President Bush. The message I hear is a kind of “us-versus-them” chorus that, draping itself in a mantle of patriotism, has stirred up an attitude of outrage and hatred against an enemy whose face we think we have identified. Do we truly believe that our enemy is of a particular ethnic background and religious persuasion, a mere flesh-and-blood adversary who can be eliminated by one swift stroke from an angry nation bent on retaliation? If so, then we have learned nothing from history. A hundred and fifty years ago, Africans were being bought and sold in this country as slaves. After the attack on Pearl Harbor in 1941, we rounded up and imprisoned Japanese-Americans. During the Holocaust, we viewed our German-American neighbors with suspicion. These are just a few examples of how Americans have been influenced by the messages from our leaders. Years after the Holocaust, a Nazi concentration camp guard recalled, “The worse we treated [the prisoners], the more we hated them.” Think about that. Our enemy is not a person or a group of people; it is hate. A hate that, kindled and fed to a fire of destructive heat, convinces a few people that their own lives are less important than the hate they attempt to spread and perpetuate through acts of terrorism. I am a fourth-generation American citizen, and believe me, I am horrified and angry and heartbroken over this attack on our country. I feel the same desire to urge our leaders to action. But what action should they take? They want us to believe that eliminating terrorism in the world is a matter of eliminating terrorists. The disease won’t be cured by treating the symptoms; we must attack the cause, the germ responsible for the infection. I don’t know what the answer is, but I don’t believe we will arrive at the solution through acts of revenge or walls of insularity. Still, this is the kind of message our leaders are sending to us, and that is what I find the most disturbing. This one was not printed in the paper. Next time I’ll post one that was printed, from 1990 during the Gulf War. I was pretty mouthy back then too. Disclaimer: This is an opinion piece, reflective only of my personal views. I welcome your feedback, questions and ideas, because it so often helps to engage in conversation about things that we care about. If you wish to comment, I would appreciate it if you read this entire article first. Although I tend to be quite direct with my opinions, I have no wish to offend or upset anyone. I think this is a case of a law needing to be questioned, so I am speaking up. I am weary of legislation. I agree that we need laws, in a society with enough people who cannot be counted on to behave with courtesy, common sense or respect for others. Washington’s newest distracted-driver law seems to assume that people won’t change their behavior unless they are threatened with punishment. However, do the lawmakers truly believe that this threat will guarantee the behavior will change? The new law, which took effect July 23, forbids all handheld uses of cell phones, including calls, reading or composing messages, social media posting, etc. Don’t pick up that phone even if you’re stopped at a traffic light! Allowed are “common built-in electronics,” such as hands-free phones and satellite radio. Ditto 911 calls. Then things get a little complicated. Using a phone mounted in a dashboard cradle is allowed for some purposes involving “limited use of a finger.” Depending on where you live, there might or might not be a 6- month grace period to let drivers get used to the new rules; the fine is $136 for the first offense, going up to $234 for additional offenses within 5 years. A more detailed summary of all these rules is here. In principle, I have no quarrel with the distracted-driver law. I absolutely agree that the handheld use of cell phones while driving is distracting. However, I don’t agree that the best way to effectively address this issue is to make it illegal to use a phone while driving. I just missed being a millenial (OK, I missed it by 34 years). Many of you can’t remember a time when we didn’t have cell phones; technology has moved so quickly over the past 20 years or so that it’s hard to believe we ever thought it was okay to get in a car without having some means to communicate before reaching our destination. But even if you take all the electronic devices out of the mix, there are still many things that can and do happen while we’re driving. For example: When I drive, I seldom listen to the radio but I do like to play music. I like to sing along (how do you think I learned “The Elements” before auditioning for TomFoolery last year?). I occasionally glance down briefly at the stereo controls. Good idea? Maybe not. Distracting? Probably. Should we ban car stereos, make them all voice-activated, or come up with an app that senses when the car is moving and locks the stereo controls? What if, instead of driving a car almost as old as I am, I drive one in which everything can be done hands-free? Do you ever drive with one or more children in the car? Lots of you eat and drink while you’re driving, or there wouldn’t be all those drive-thru restaurants and coffee houses out there. I’m perfectly capable reaching for my coffee cup without looking down at it, but sometimes I do look anyway. I sometimes wave at someone while driving. Blush. Of course, there are many distractions on the road that are not a matter of your choice. Practically everyone has had the experience of that maddening itch that only seems to happen when you’re driving, usually between your shoulder blades just out of reach of either hand. Another driver tailgating me is definitely a distraction. Driving on a rainy night, reflections off the water on the road are confusing as well as distracting. Around here, all kinds of animals might run out into the road in front of you. I’m sure everyone glances to one side or the other at beautiful scenery; I mean, we are in Washington. I do that myself. Obviously it would be ridiculous to try to legislate against these things. If nothing else, it makes no sense to pass a law that has very little chance of being successfully enforced. I understand why cell phones have been targeted in this instance; but I believe that this law is a well-meaning but ultimately failed attempt to mitigate the problem. Here’s why. Any lawmaker, state or federal, will tell you that one of the main challenges in the 21st century is that technology continues to move much faster than the legislative process. In a relatively short time, we went from relying on home phones and pay phones to practically everyone having phone service with them constantly. Thus, many years have gone by between cell phones becoming ubiquitous and Washington enacting a distracted-driving law aimed at those phones. This law doesn’t seem to take into account the force of this long-term habit. Most of us have had cell phones for enough years that we are thoroughly steeped in the routine of using them whenever and wherever we wish. Regardless of good intentions, many people will find it very hard to suddenly stop using their phones in the car. I’m not suggesting we don’t ask them to do it, I’m saying I don’t believe passing a law will necessarily result in the desired outcome. Clearly there is no way to completely eliminate distractions while driving. I usually turn off my phone or at least turn down the sound when I’m in the car, but I don’t always remember to do it; sometimes that damned chime reminding me about someone’s birthday takes me by surprise. When there are passengers in the car, talking can’t always be avoided. And listening to music or audio books is a real pleasure while driving. My suggestion is that this is a matter of education, not legislation. When I was in Driver’s Ed, we regularly watched films that were intended to scare us into driving safely. Education about distractions, including phones and other electronics, ought to be included in the driver-licensing process. Personally I think when people renew their licenses, this should be included in that process, as well as information about changes to other driving-related laws. How about a town-meeting-type gathering, one in every county, where residents can ask questions of State Patrol officers and local government officials? The Washington Traffic Safety Commission (WSTC) has implemented a program to educate the public about the risks posed by distracted drivers. It’s a start. Read about it here. Most people I have spoken to about this subject simply don’t believe using their phones in the car is all that distracting. They also believe the chances of them getting caught on their phones is very small. We ought to be able to find a positive motivation to put the phone down, somewhere out of reach in the car, or better yet, simply turn the thing off until actually needed. I think most people are sensible enough to agree to not use their handheld phones while driving, but it will take some time, and some positive reinforcement, for them to get used to the idea (again). I think it’s great that various laws have drawn so much attention to the issue of distractions while driving, and the potential risks involved. But as a whole, distractions simply can’t be eliminated, so it’s in all our interests to learn all we can about how best to minimize their effects. I guess I’d better pull over and stop typing now. Those flashing blue lights behind me are really distracting. I’ve been mulling lately a return, at least occasionally, to the kind of work I was doing in Seattle before we moved to the farm in 2006. 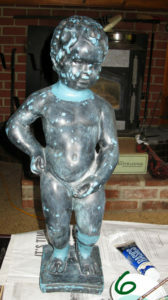 For 5 years I had a successful niche doing repair and restoration work on all kinds of antiques and art objects. It was successful partly because at the time, very few people in the area were doing repairs. If your antique chair needed refinishing, that service could be found. If the chair had a broken leg that needed repair, that was something else. I also learned to do gilding, so I did my share of picture-frame and mirror-frame restoration as well. One of the reasons I found a niche was because I was able to take small jobs. Mostly these consisted of items that often had more sentimental value than monetary value. Having grown up in a house full of antiques (my dad’s parents were antique collectors and we inherited a lot over the years), I felt a connection to the stories of these things, even the most mundane and functional of pieces. Recently, I had the distinct privilege of repairing just such an article for Mariana Parks, an old friend of mine: A plaster statue, a replica of the famous Mannequin Pis of Brussels, Belgium, which had been broken for many years. 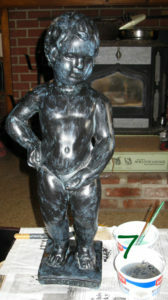 This is what the statue looked like before I started repairs. As you can see, the head is completely broken off the body (photo 1). Both legs were broken below the knee (photo 2), and the right leg was badly shattered at the back (photo 3). This kind of repair can be tricky because the plaster legs are hollow, which means there isn’t much surface area for gluing. 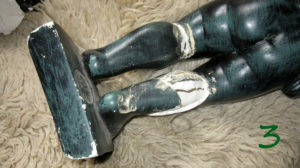 There were a few loose pieces which I fitted in place, then I filled the right leg with plaster to make it as strong as possible. Once all the gluing was done, I applied fresh plaster to all the repair areas. This had to be done in stages, as it’s usually better to apply several thin layers than one thick layer. 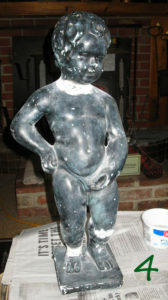 This is the statue after plastering was done and most of the plaster has been shaped and sanded down (photo 4). 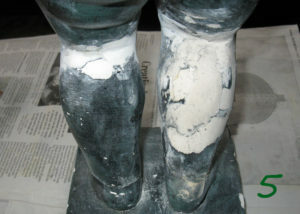 Photo 5 shows detail of the plaster repairs to the legs. Now comes the really fun (and very challenging) part: Painting to match the original finish. It’s easy to see that this finish consists of a base color of a bluish teal, washed over with a diluted Mars black. Using water-base paint to match the original, I spent quite a while getting the base color right; acrylic paints dry a little darker than their wet color. 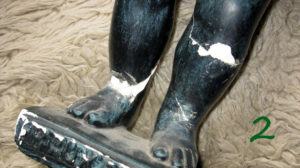 Photo 6 shows the statue after the base color has been applied; note the numerous little spots of this color, which indicate places where the original paint was chipped off, showing white plaster. 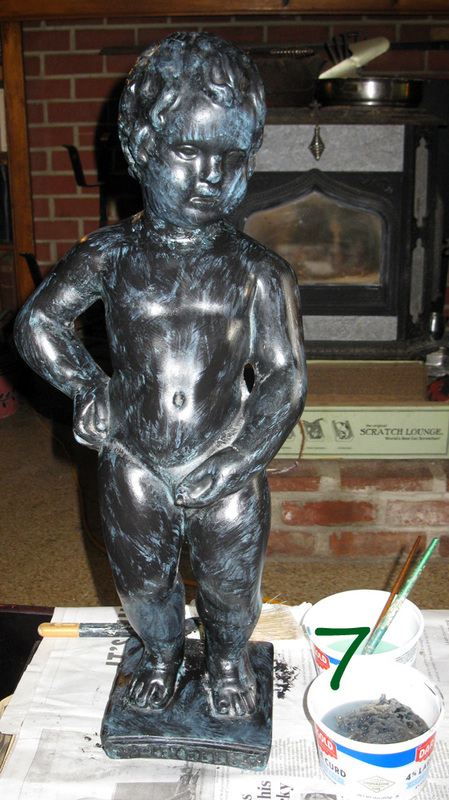 Next, I diluted some Mars black paint with a semi-gloss clear medium (to match the satiny original finish). Using an open-textured sea sponge and a dry paintbrush, it only took a few minutes to get the black wash over the repair areas and chips and blend them into the original finish. Finally a couple light coats of a satin-finish polyurethane completed the restoration job. Sound tedious and time-consuming? Kind of. It has to be done in stages; glue has to dry, plaster has to set, etc. All told, this entire job took less than 2-1/2 hours to complete. This was a Mother’s Day surprise for Mariana, contrived by her husband John Hamer. This is often the best part of the whole process: Seeing the reaction of someone who may have given up hope of having such a thing repaired. 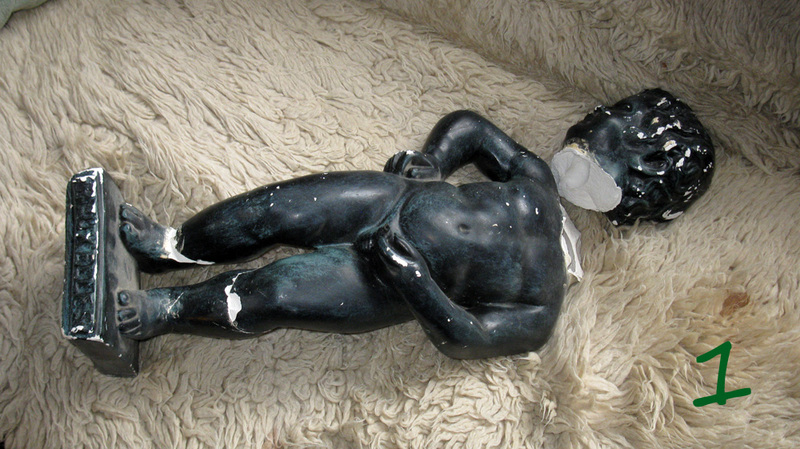 This statue is a Plaster of Paris replica; it may not have great monetary value, but Mariana had kept it all these years as a memento of a year spent in Brussels when she was young. I have always loved being part of the process of restoring this kind of thing for people who will truly enjoy having it back in their lives. And I am looking forward to doing more of this kind of work as the year goes on. Last December, for reasons passing understanding, I decided to make a batch of English toffee for the first time in years. I used to make several kinds of candy around the holidays, but that habit fell by the wayside as life took some interesting turns. Somehow the recipe I had always preferred was still in my head; don’t be too impressed, it’s basically half a pound of butter and half a pound of sugar. Melt it in a saucepan over high heat, stirring constantly, until it gets to 290F. And there you go. The whole thing takes maybe 10 minutes. Anyway, I made a batch of it, busted it up into pieces, mixed it all with melted Belgian dark chocolate and spooned it into those cute little gold foil candy cups. 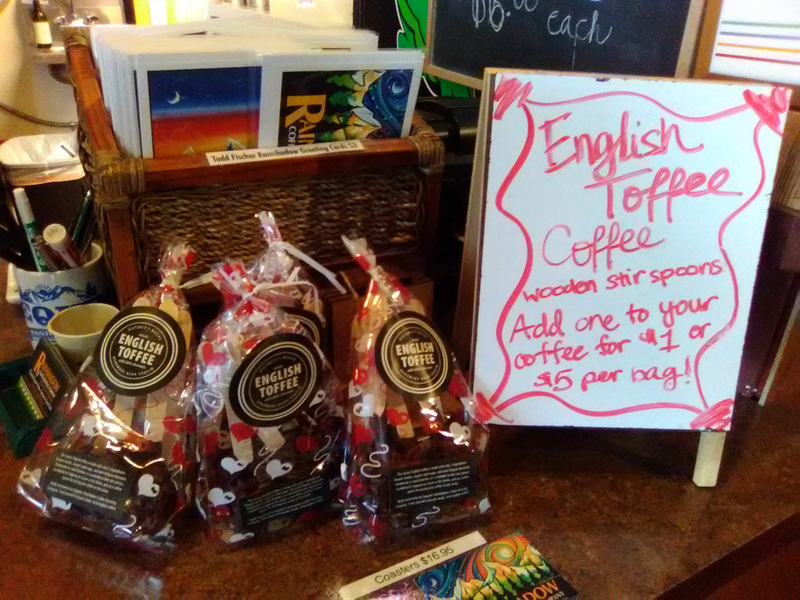 After practically inhaling way more than my share of the stuff, I took a few pieces to my favorite local coffee shop, Rainshadow Coffee in Sequim, to share with the owners and employees. Well, as these things have a habit of doing, one thing led to another and we started talking about possibly selling the toffee at Rainshadow. It occurred to me that it would be good to somehow tie in the toffee with coffee. My first idea was some kind of swizzle stick; remember those colored rock candy swizzle sticks? I was talking to a good friend about it, and she mentioned toffee-chocolate-coated spoons, and that led to English toffee spoons. Using compostable wooden spoons, first I dipped the spoons in chocolate and let that harden. Then I filled the spoons with a generous amount of crushed chocolate-coated toffee. Packed them by half-dozens in cello bags and brought them this morning to Rainshadow. You can buy them individually to stir into your coffee, or by the bag to take home. Either way, it’s a nice little self-indulgent treat, and guess what? You deserve it. And that’s what happens when I have time on my hands. Stay tuned for what’s next!